(Carb) haters gonna hate. Let ’em. Let’s be honest–when talking about comfort food, no one waxes poetic about beet puree or a zucchini foam–it’s carbs that gets everyone happy and nostalgic. Contrary to current belief, carbs have a slew of benefits to our bodies. Consider marathoners, the titans of runners. A high carb diet is advised for days leading up to a marathon for these super athletes because it improves endurance, allows them to train harder and has a host of benefits to the immune system. 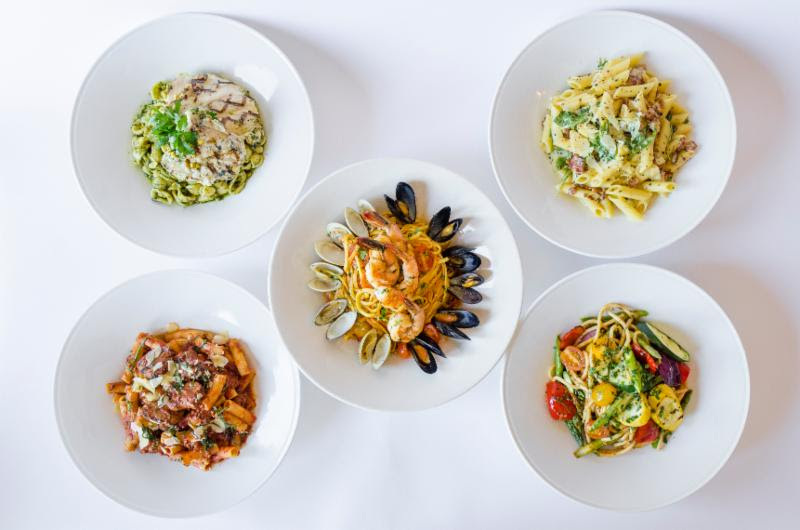 Think like a marathoner–try one of our pastas. 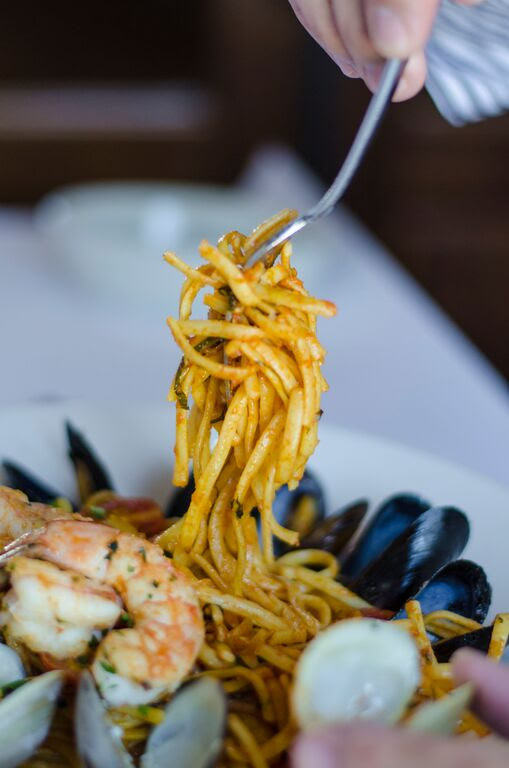 Our pastas–imported from Italy—are then loaded with seafood, tossed with the freshest of veggies, laden with pancetta, smothered in pesto or layered with a rich bolognese. Come on, you know you want it; we’ll keep your secret from your carb-phobic friends. We are happy to serve you in the evening and just as happy to assist you during the daylight hours. Please note that our office hours are from 9 a.m. Monday-Friday and from 10 a.m. on Saturday and Sunday. 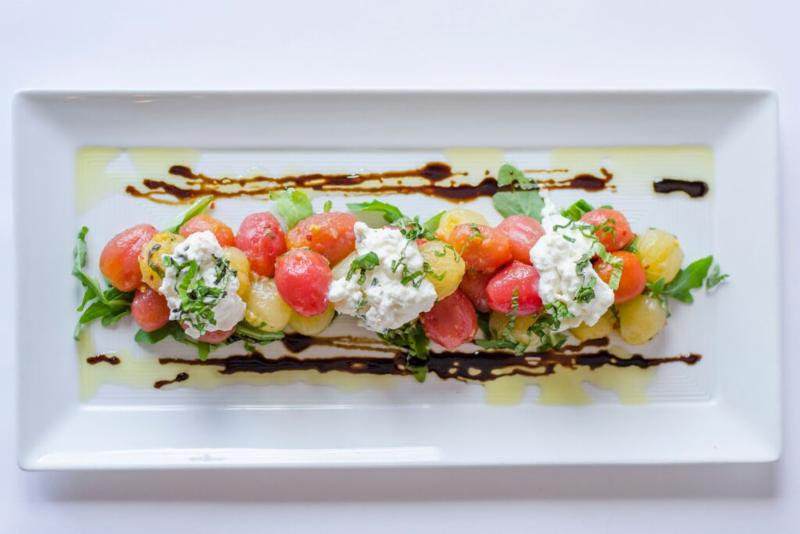 If you wish to make reservations, have questions about a menu item, would like to purchase gift cards, or have other inquiries, we are here to help you. At Tony’s, everyone is trained in the art of hospitality, including our non-human “employees.” Our hard-working, state-of-the art websites are here to help you, day or night. Totally interactive, one can click on menu items to find out more about our preparation, interesting facts about ingredients we use as well as suggested wine pairings. Take a gander at our restaurants and food on the many photo pages. Peruse our wine page for in-depth information on our wine selections. Visit our “Steak Nirvana” page to learn about Tony’s steak dust and steaks. Click on “The Tonys Experience” to learn more about the man himself. Buy a gift card at 3 a.m.; we’re open for business! Never needing a sick day or vacation day, our websites are on call for you every step of the way. We’ve upgraded and greatly expanded our wine list to include several different varietals, something to accommodate whatever you are celebrating and to compliment your entree. Our premium pour selections now include different vintages of both Opus One and Cardinale by the glass. Looking for something you will not get anywhere else? We now offer 2012 J. Daniel Cuvee Napa Valley Cabernet Sauvignon. This was rated a perfect 100 points by Robert Parker, Jr. This wine is pre-sold before the grapes are even grown and is sold out until 2016; we mean it when we say you will not find this wine anywhere else in Ohio! Ask your server for details. To cap off Bourbon Heritage month, Tony’s of Lexington is having their first-ever bourbon dinner. 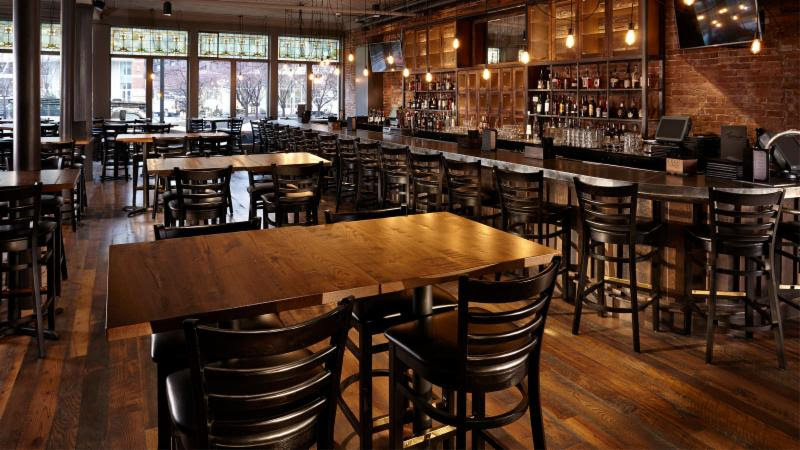 Called “There’s Noe Place Like Home,” the venerable Master Distiller Fred Noe will present on a variety of premium bourbons which will be perfectly paired with a four course meal. The evening will be filled with entertainment; learn more about the history of bourbon while tasting a different bourbon matched to the course. Seating is limited and reservations will only be taken by phone for this spectacular event. Please call 859-243-0210 today to reserve your seating! Every time we go to Tony’s, the steaks are excellent along with the service. Management visits all the tables to ensure everyone’s expectations are met! Welcoming atmosphere, wonderful staff and incredible food and drinks! My new Lexington favorite!